The Aviva FAI primary School 5s is the biggest competition in primary schools’ soccer. 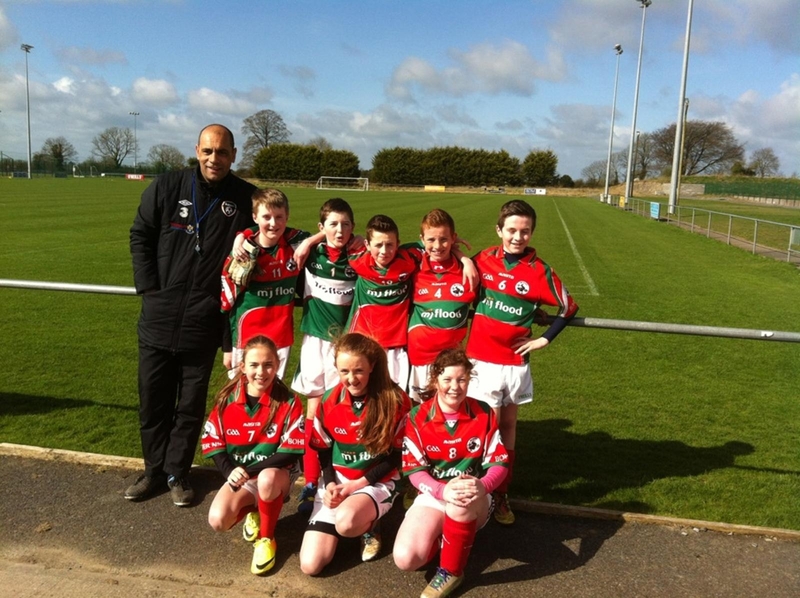 The Westmeath A Cup final took place on Tuesday 8th April in Mullingar Athletic grounds. Boher N.S. qualified to meet Kilcleagh N.S. in the Final by beating soccer teams from St.Brigid’s Ballynacargy, St. Mary’s Raharney, St Michael’s Castletown Geo, All Saints Mullingar, Ballinagore N.S. and Rosemount N.S. in an earlier blitz. Boher N.S. will now go on to represent County Westmeath in the A Cup Competition in the regional finals in Navan on the 6th May. Well done to Boher N.S’ squad of eight : Pearse Weir –Norris (Captain), Adam Watson, Liam Killian, Matthew Cox, Ben Scally, Clodagh Mc Cormack, Elaine Pidgeon and Róisín Killian.